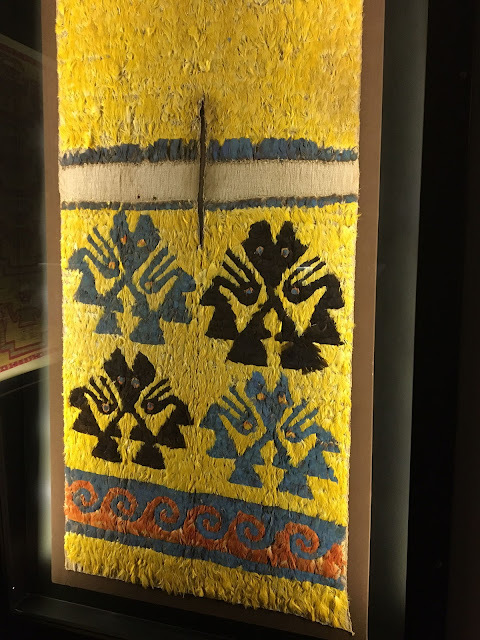 As you may have gathered from reading my blogs on textile history, I have not restricted my studies to any particular area , but have researched textiles from prehistoric to contemporary. 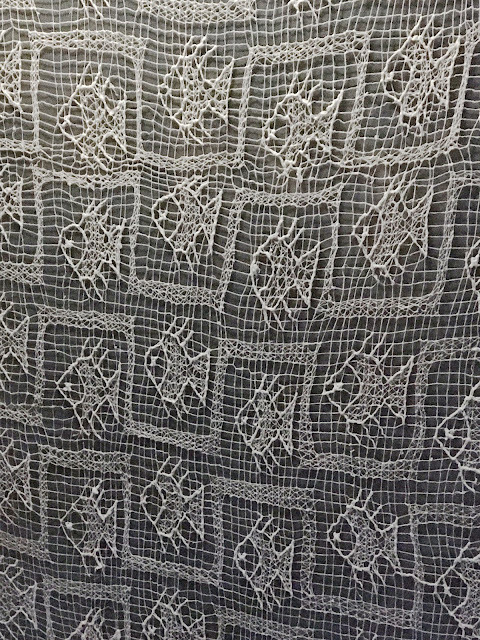 The information on recent textiles is easy to obtain and plentiful. Not so with ancient textiles. It is not unusual for ancient, extant, examples to be few and difficult to study. Of course, the reason is that there are far, far, fewer of these textiles. Many museums have some ( more likely a few) that would fall into this category but their condition varies to amazingly well preserved to dismally displayed, often with out-of-date information as to their provenience , fiber content or method of construction. 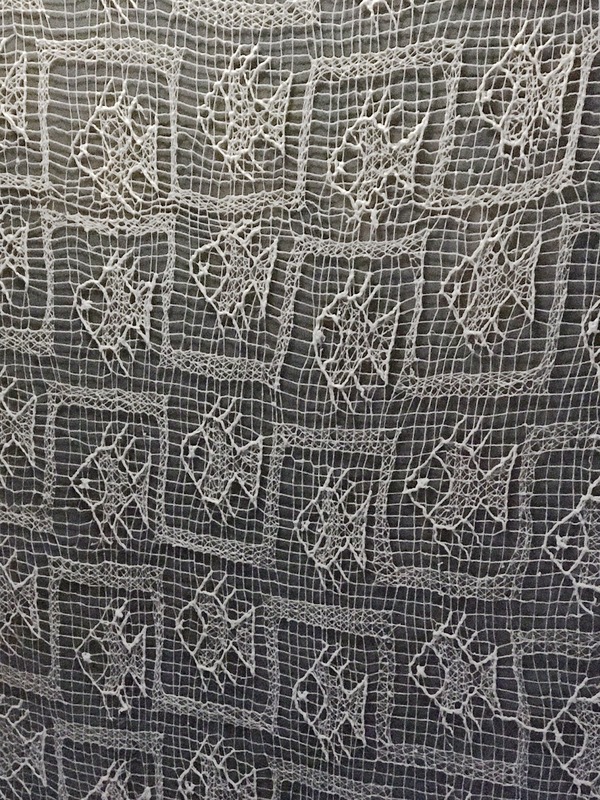 It has only been in relatively recent times that skilled professionals with the newest technological tools have been examining these remains and much still needs to be accomplished to begin to fill in the gaps of textile history. 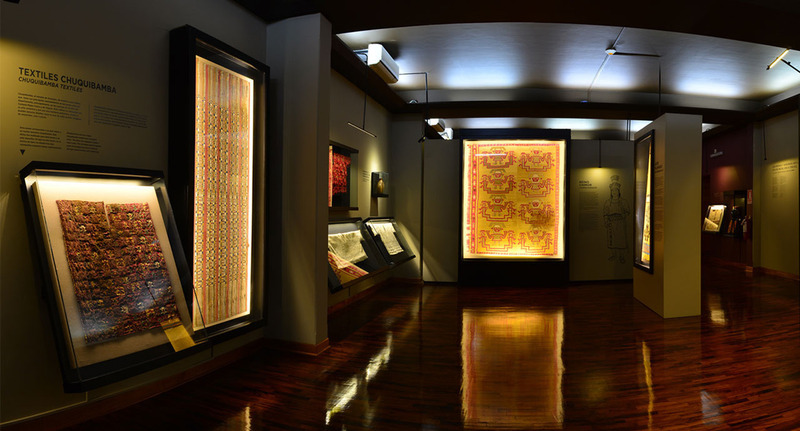 It was during discussions with several colleagues at the TSA (Textile Society of America) Biennial meeting last October that I heard of a small, but outstanding museum, in Peru with an amazing collection of Pre-Columbian textiles. (I had mentioned an upcoming trip to Peru in January). Since I would be in Lima and, coincidentally the suburb of Miraflores where collection resides, this was added to my must-see list. Little did I realize that it would become a quest. Firstly, being a small, private institution it was not widely known to the locals. Our taxi driver had no knowledge of it , and although I had the address, it was a bit of exploration to find the small suburban street set with housing. When we arrived, the driver pointed to a moderately sized building and we paid our fare and set off. My husband, daughter and I entered but discovered that it was not a museum, but a church. Further, as it was Sunday the people we encountered naturally assumed we were there for services and directed us in Spanish to various rooms, which I could only assume were study groups that met before the actual service. It was probable that many a textile visitor had made the same mistake and we were finally directed across the street to a modest, concrete grey, building surrounded with chain-link fencing. But we were not deterred, we had finally found this treasure and what a treasure it is!. 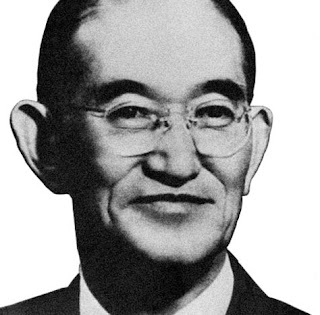 For over 60 years, Yoshitaro Amano had collected ancient Peruvian artifacts, left behind by grave robbers and archeologists, alike. In 1964 he opened a museum of these objects, especially a large collection of textiles. This museum was renovated after 50 years and contains a collection of more than 600 textiles on display in chronological sequence. 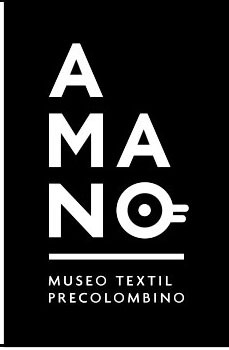 The exhibition is in 4 major rooms with the most up to date museum lighting and didactics in Spanish and English. There are also video programs and a large area of flat cases of textiles for study by appointment. One thinks of the Incan civilization as ancient, but after all it is only the post-Spanish conquest of the Incans with which we are familiar. 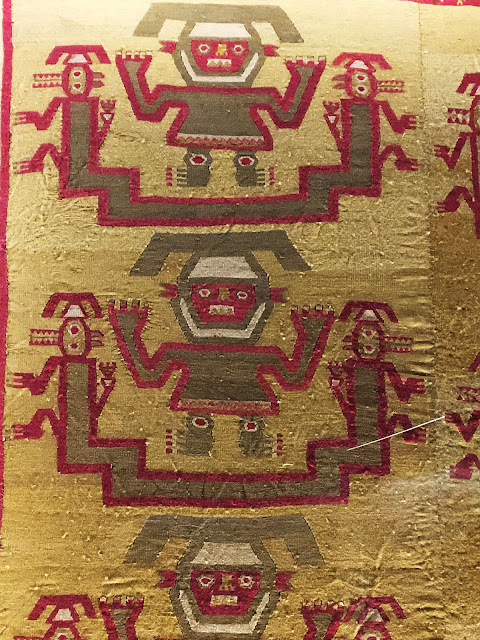 These Pre-Columbian textiles were thousands of years old. Their condition was remarkable, considering their age, colors still vibrant and fibers, for the most part still intact so that it was possible to understand their construction. 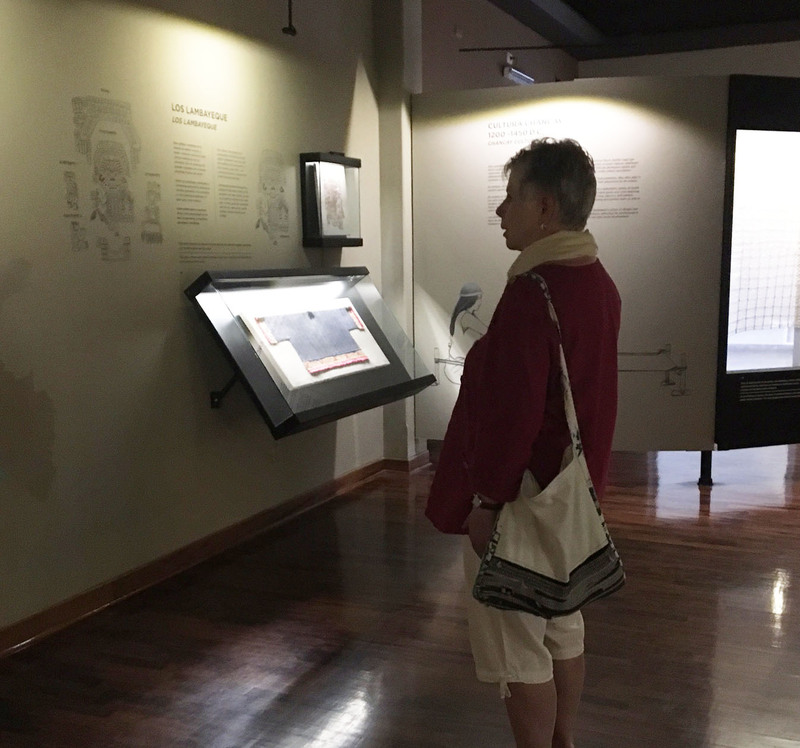 If you are not fortunate to be able to travel to Lima, please take some time to view information of the museum and the collection on the internet. There is also many visuals of pre-Columbian, Peruvian textiles on various websites.